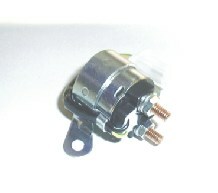 Starter Solenoid OEM - Genuine Suzuki replacement starter solenoid. If you would like to save some money, we have aftermarket solenoids here. Price does not include shipping. 50 state shipping for this item will be $3. When ordered with other products, the shipping cost will be calculated based on the weight of the total order.